I really like this quote that I found on Facebook because it just sounds so nice and is very reassuring. 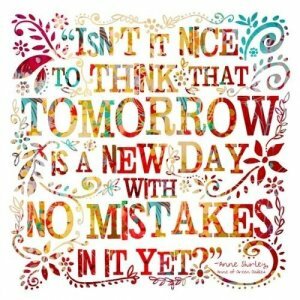 No matter how bad your yesterday/today was, tomorrow is going to be better (only if we allow it too). Today is my first day posting again, I do apologize that I couldn’t post as I usually do. I don’t know when I will be able to post frequently like I used too seeing as I am now at College and have a lot of work to do, but tomorrow I can do my best to post a few a day.